My, what a nice wallpaper! The other day I changed my wallpaper, out of curiosity I tried one of my own pictures. 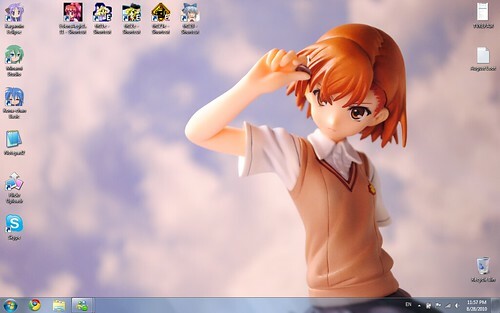 I was pleased with the result resulting in the above desktop.